The 1,100 million year old Midcontinent Rift System stretches from northwestern Ohio and Michigan to the Lake Superior Basin, through Minnesota and Iowa all the way to Kansas. 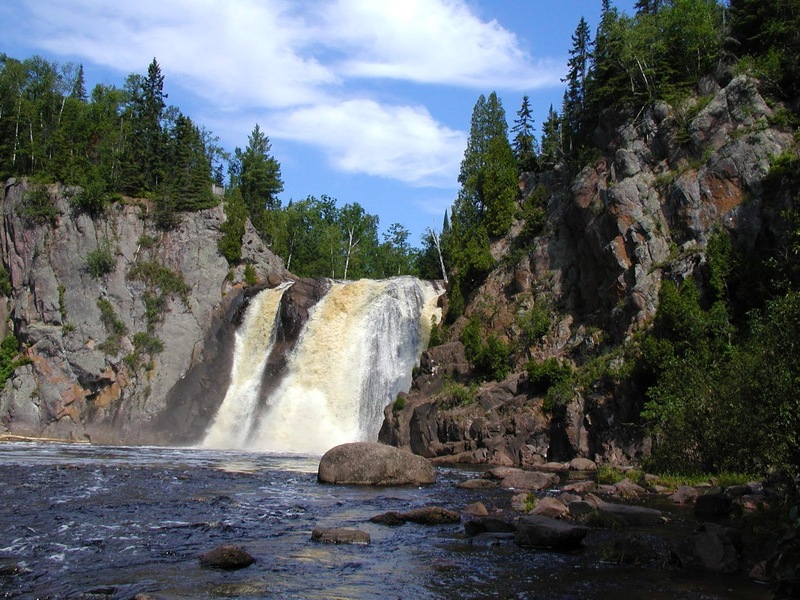 Throughout the midcontinent rift, there are 60,000 feet of lava flows and 480,000 cubic miles of volcanic rock. 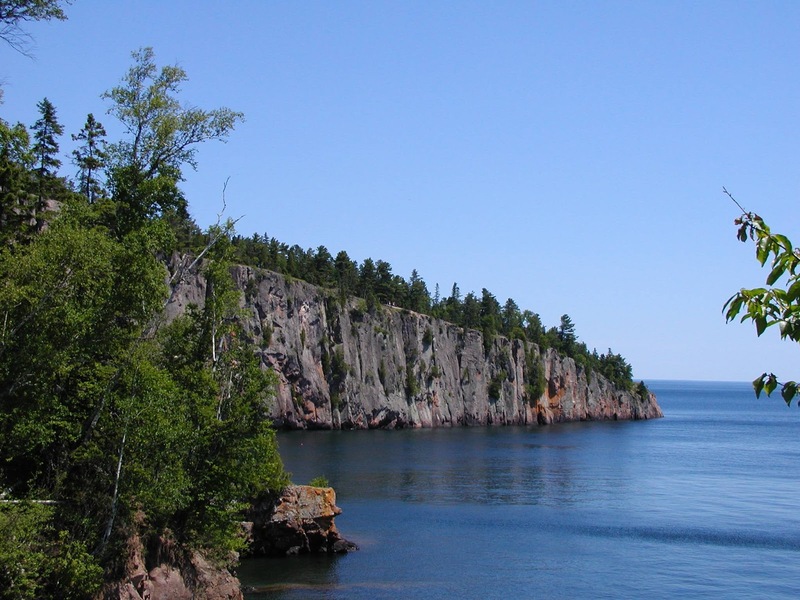 The spreading associated with the midcontinental rift is similar to the events that undid earlier supercontinents and could have placed Minnesota on the western edge of an ocean if it had continued. 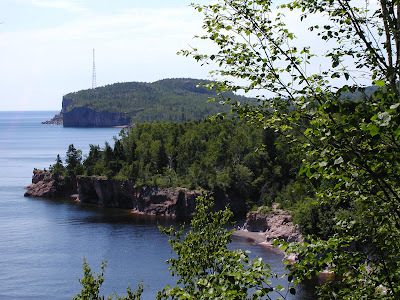 The majority of the rock associated with the Midcontinental Rift System (especially on Lake Superior's north shore) are mafic gabbros and basalts. 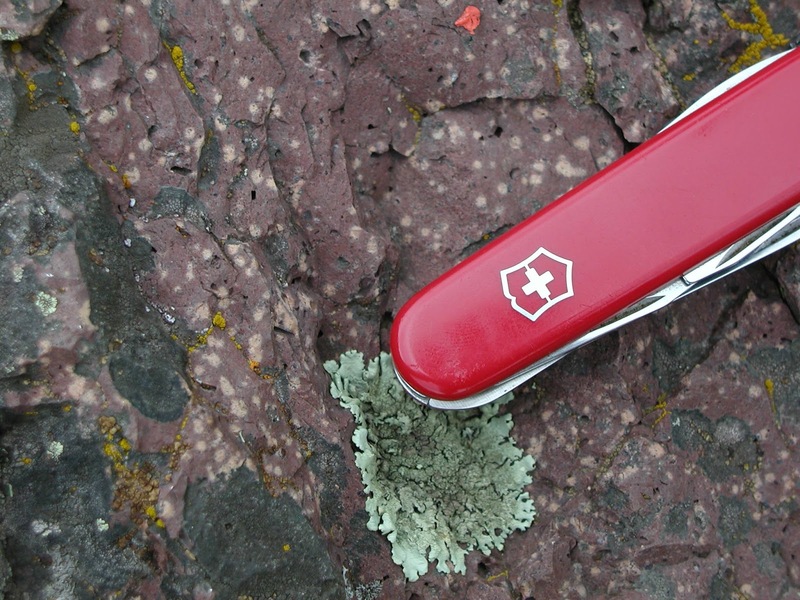 Though there are some examples of felsic granites and rhyolites in the Lake Superior region. The Palisade Head Rhyolite is a reddish, fine-grained, volcanic rock that outcrops near Tettegouche State Park. It has a radiometric age of 1,096.6 million years. 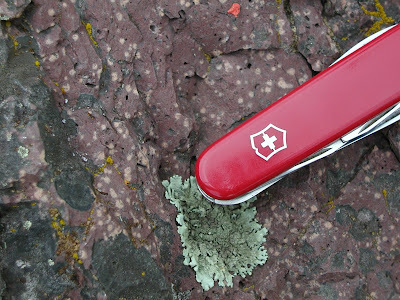 Upon closer inspection, there are numerous orthoclase feldspar and quartz crystals. 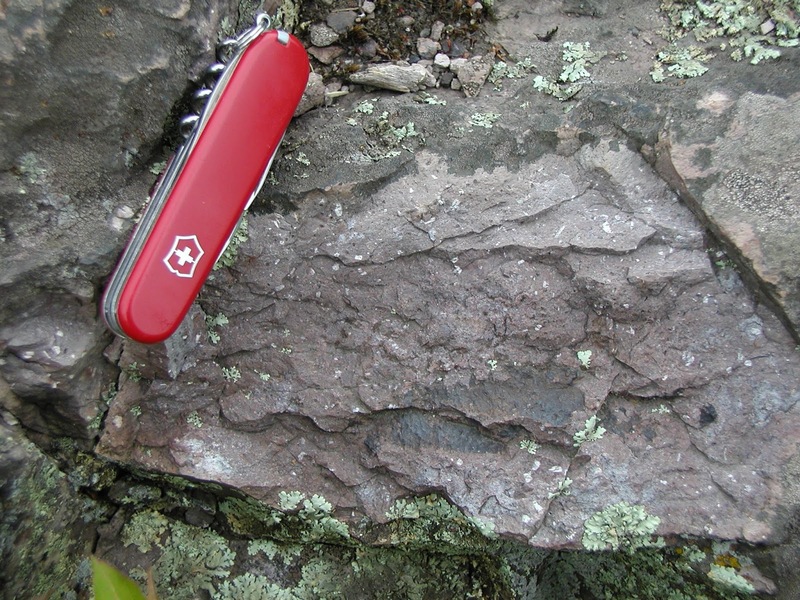 This particular extrusive lava flow is 2 miles wide and 3 miles long. It is as thick as 310 feet in some places. As the lava cooled, large columns formed. 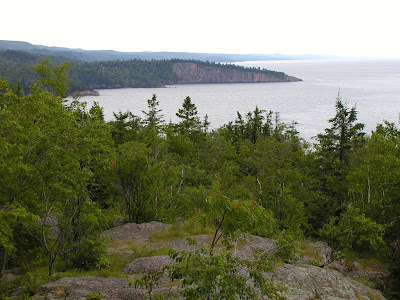 These columns are visible in topographic features like Shovel Point (picture below) and Palisade Head. Joints between the columns are weak places between the rhyolite, weathering and erosion removes these columns. The best ways to view the columns are by kayak or rock climbing the high cliffs of Shovel Point and Palisade Head. 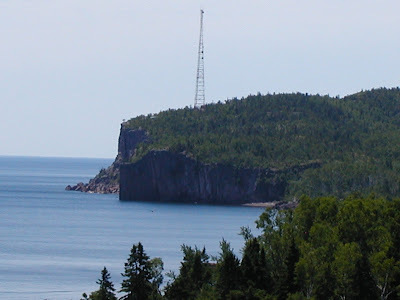 Palisade Head (in the distance with the tower on top), rises 350 feet above Lake Superior. 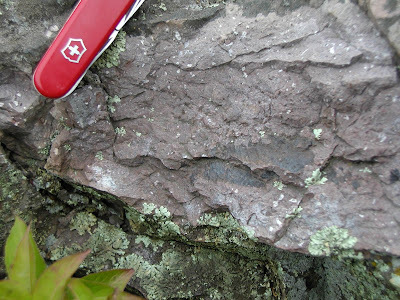 Because felsic rhyolite consists of higher amounts of silica and less iron than the mafic basalts that are also found in the area, it is much more resistant to weathering via the process of oxidation. 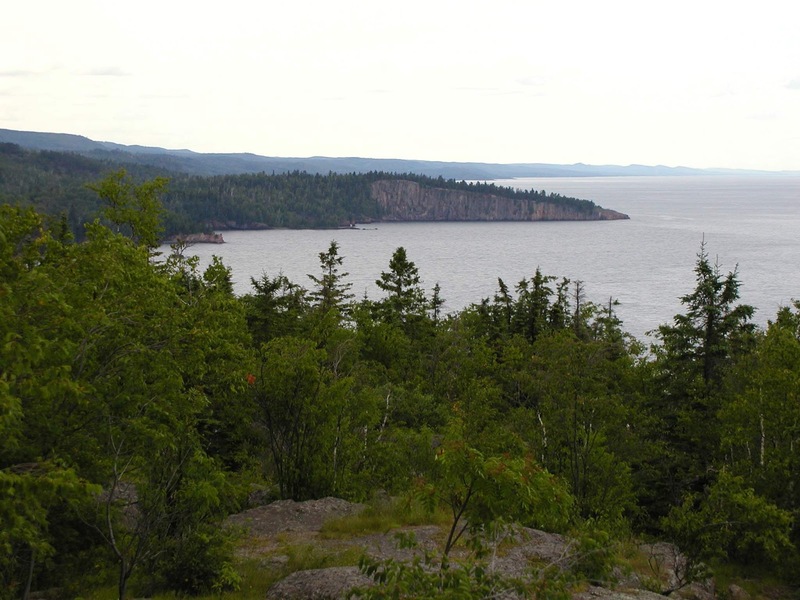 This is the reason that Palisade Head is a topographical high in the region. The picture below shows Palisage Head in the foreground and Shovel Point in the distance, both are easily reached by hiking paths within the state park. 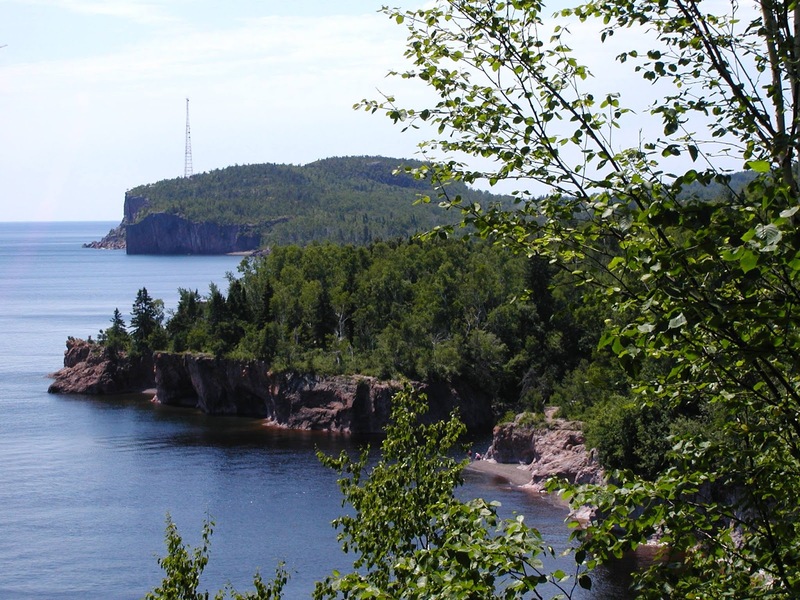 The Palisade Head Rhyolite also extends away from the lake and is partly responsible for one of the parks most visited features. 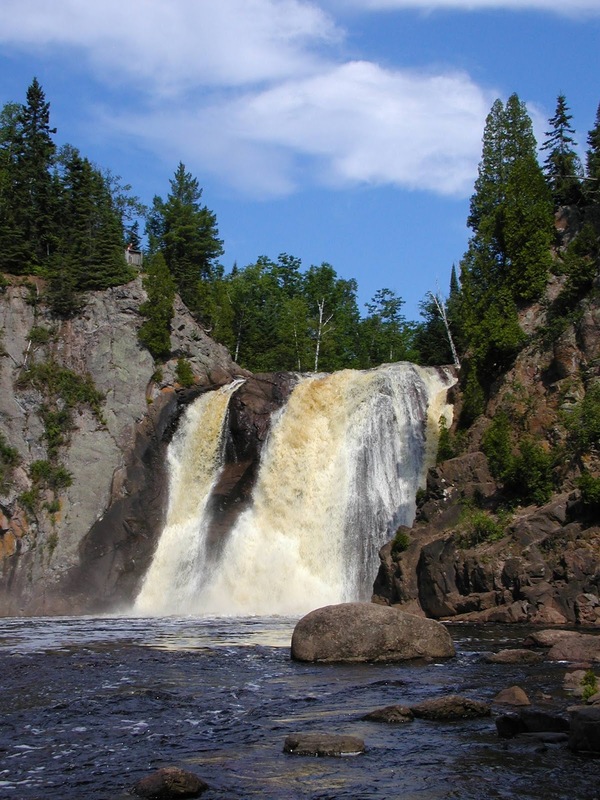 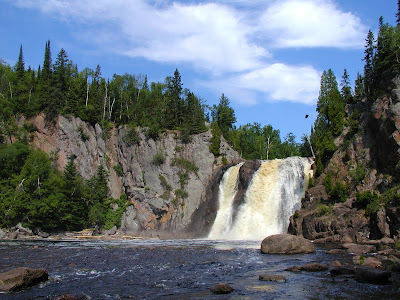 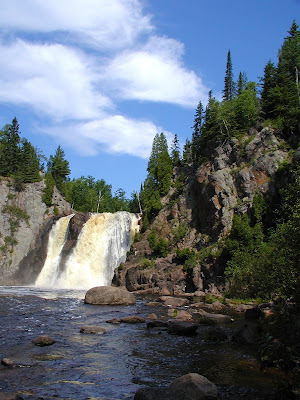 The High Falls of the Baptism River is a 70 foot waterfall, the highest waterfall completely within the boundaries of Minnesota. The Baptism River actually has created several waterfalls over the Palisade Head Rhyolite on it's way to Lake Superior.